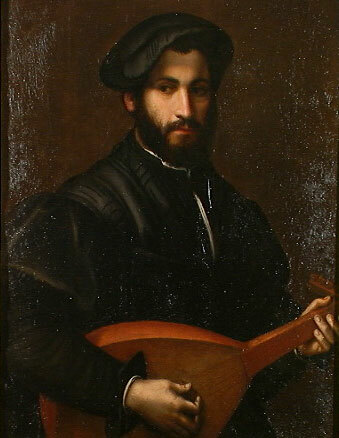 However, Dowland also studied under Luca Marenzio, a celebrated Italian composer of madrigals. Dowland was therefore acquainted with the Italian madrigal. 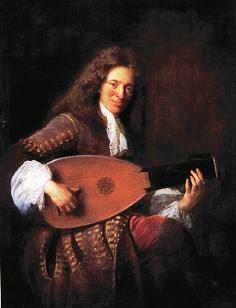 Yet, he was mostly the composer of monophonic and melancholy lute songs. Yet, there is an intensity to his songs that suggests a more personal form of inspiration. With respect to the French chanson, he can be associated with Claudin de Sermisy (remember Tant que vivray), Clément Janequin, Pierre de la Rue, Roland de Lassus (or Orlando di Lasso). 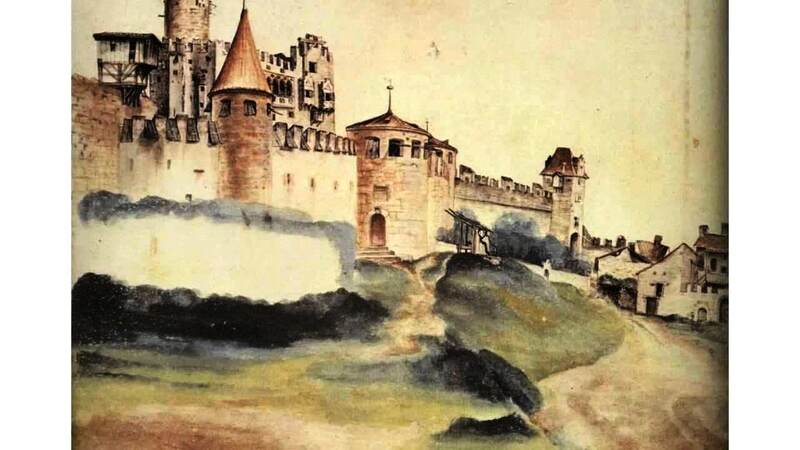 Although chanson composers and interpreters had been influenced by madrigals, the fifteenth-century French chanson was homophonic and has endured. and a large number of German Tenorlieder. Motets are refined, polyphonic and, often, liturgical vocal works, brought to Venice by Adriaan Willaert. As for the frottola, it was a popular song and an ancestor to the Italian madrigal. to Franz Schubert, who gave the Germanic Lied a beauty that has yet to be surpassed. Here, the common denominator is expressiveness and the importance of the solo singer. In this regard, Dowland is a representative of Renaissance humanism in general. Dowland knew how to set a text to music in a manner that touched the listener profoundly and touched exceptional listeners: Fauré, Ravel, Debussy and Benjamin Britten. In England, his contemporaries were Thomas Morley (1557 or 1558 – October 1602) were Thomas Weelkes (baptised 25 October 1576 – 30 November 1623) and John Wilbye (baptised 7 March 1574 – September 1638), all of whom wrote madrigals, Wilbye in particular. In 1588 Nicholas Yonge published the very successful Musica transalpina, a collection of Italian madrigals by Francesco Ferrabosco I and Marenzio. 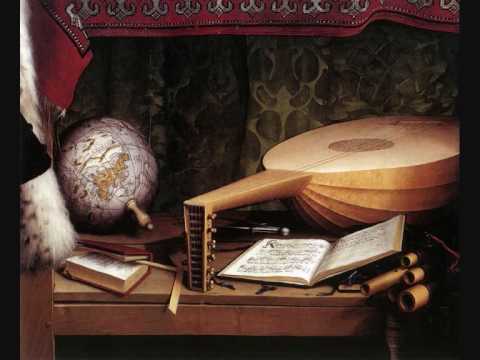 From 1598 until 1606, Dowland worked for Christian IV of Denmark who paid a fortune to hear his music. He was dismissed because of frequent absences. Six years after his return to England, in early 1612, he became James I‘s lutenist, a position he held until his death. Specifically, Dowland wrote through-composed[iii] monophonic songs to which he gave a relatively discreet lute accompaniment. He is also the composer of partsongs, but to a lesser extent. In the case of partsongs, singers were given their part and could sit around a small table and sight-read. Dowland published his aptly-titled First Book of Songs in 1597. His Second Booke of Ayres was published in 1600. He also wrote consort songs. These were songs written for solo singers accompanied by a consort of viols. John Dowland’s Flow my tears and his Pavana Lachrymae, have long survived him. As mentioned above, he has been a source of inspiration to Fauré, Ravel and Debussy, and his song Come Heavy Sleepe, the Image of True Death inspired Benjamin Britten‘s Nocturnal after John Dowland for guitar, 1964. Ravel: Pavane pour une infante défunte (… for a Dead Princess), played by Sviatoslav Richter, piano; or by Laura Mikkola, piano. [i] In sixteenth-century France, Huguenots (French Calvinist Protestants) were persecuted. Remember the Massacre of the St. Bartholomew’s Day (1572). 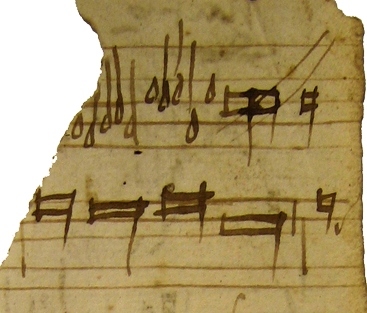 [ii] The Choralis constantinus contained many liturgical chants, at times resembling Gregorian Chant. [iii] Though-composed songs do not have stanzas and a refrain.